It’s been a rough life for the Xbox One’s least appreciated accessory. At launch, people weren’t happy that the Kinect was the reason why the Xbox One cost $100 more than the PS4, despite its innovative motion-sensing abilities and handy built-in mic. That prompted Microsoft to quickly regroup and put out an Xbox One config that came without a Kinect, which in hindsight was the beginning of the end. Then last October, Microsoft announced it was ceasing production of the Kinect entirely. Now it seems the real nail in the coffin has arrived; today Microsoft reportedly confirmed that it has ended production for the Kinect’s USB adapter. This is a big issue for Kinect fans, as both the Xbox One S and Xbox One X lack the proprietary port needed to hook up Microsoft’s camera peripheral. Originally, when the Xbox One S was launched, Microsoft was giving these adapters away for free, until mid-2017, when the company bumped the adapter’s price up to $40. 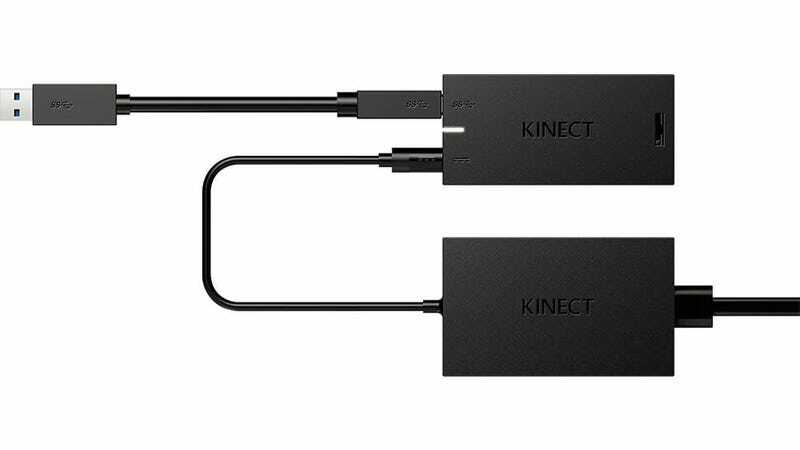 Without that adapter, there’s no way to hook up a Kinect to a PC or any late-model Xbox. That means you won’t be able to play games like Fantasia: Music Evolved or Dance Central Spotlight, or have an easy way to use the Xbox One’s voice controls. With the Kinect adapter no longer available from Microsoft’s online store, Kinect fans may be forced to turn to re-sellers on sites like eBay or Amazon, where current listings are priced between $150 and $300. However, if you’re quick, you may be able to snag one from other sites like AliExpress for just $55. Either way, this marks a sad end to Microsoft’s once promising peripheral, especially now that motion-sensing tech is becoming more common on phones and tablets. Who knows, maybe Microsoft will decide that the third time’s the charm and will give new life to the Kinect alongside the Xbox One’s successor. Probably not, but one can always hope.